This week on the podcast we’re featuring a series of conversations from the NIPs conference in Long Beach, California. I attended a bunch of talks and learned a ton, organized an impromptu roundtable on Building AI Products, and met a bunch of great people, including some former TWiML Talk guests. 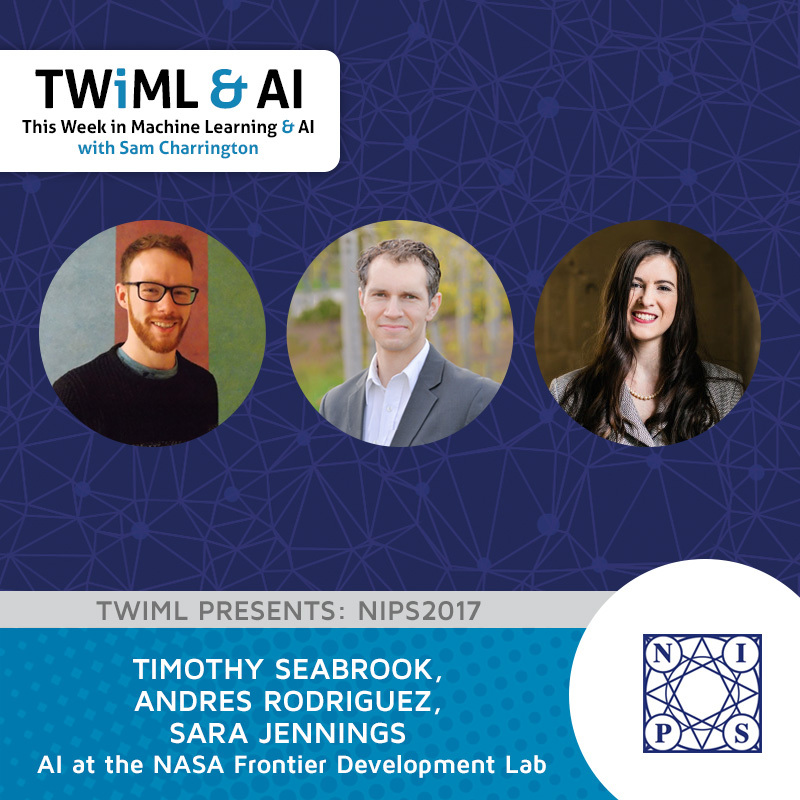 In this episode i’m joined by Sara Jennings, Timothy Seabrook and Andres Rodriguez to discuss NASA’s Frontier Development Lab or FDL.